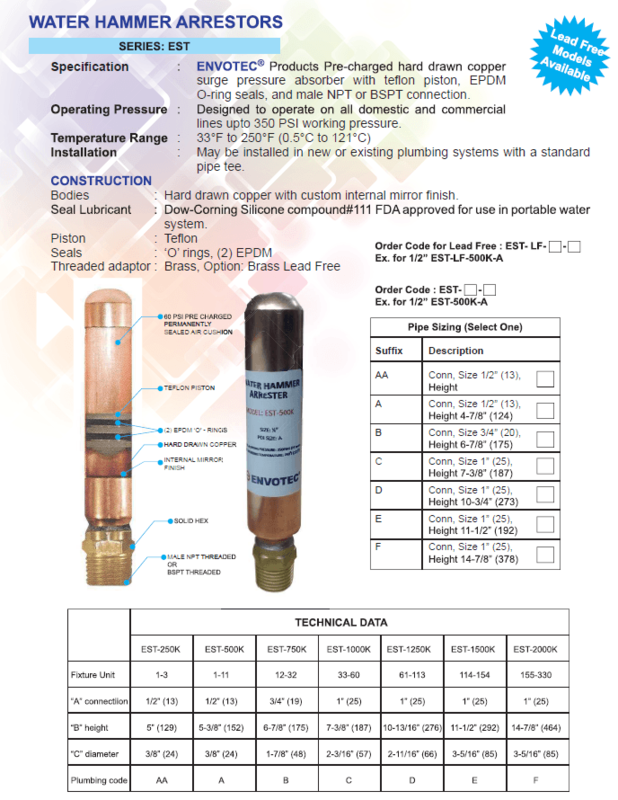 Pre-charged copper water hammer arrestor with teflon piston, EPDM o-ring seal, and brass NPT or BSPT threaded connection. Water hammer is usually recognized by a banging or thumping in water lines. The noise can occur when the flow of moving water is instantaneously stopped by a closing valve, or there are loose pipes in the wall, or there is a worn out washer on a faucet. The sudden stop of water, or a stutter caused by a loose or bad washer, results in a pressure spike behind the valve which acts like a tiny explosion inside the pipe. 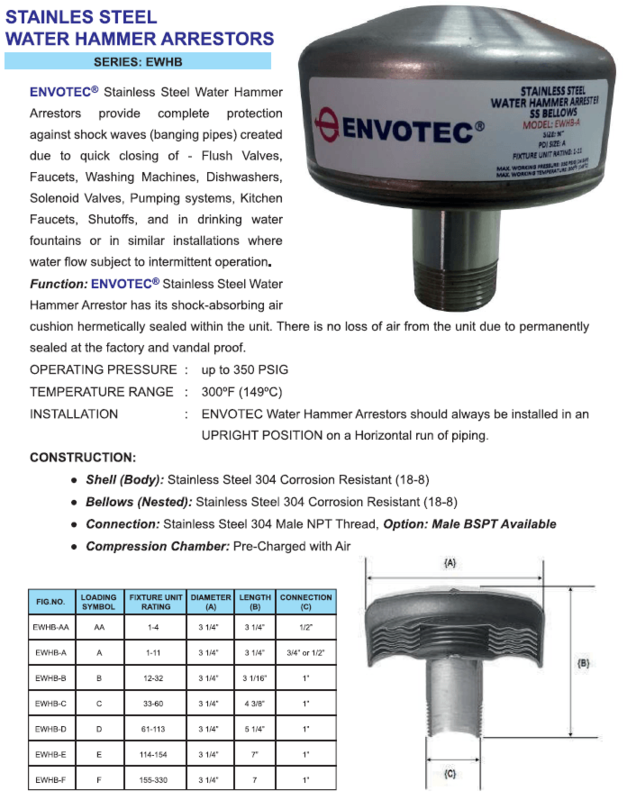 This pressure spike will create shock waves in the water that will reverberate throughout the plumbing system, rattling and shaking pipes, especially loose pipes, until it is absorbed. Normally, a sufficient pocket of air will absorb such a pressure spike, but if no pocket of air is present, expensive fixtures and appliances within the plumbing system will be damaged as they are left to absorb this pressure spike. OPERATING PRESSURE: Designed to operate on all domestic and commercial lines up to 350 psi working pressure. TEMPERATURE RANGE: 33ºF to 250ºF (0.5ºC to 121ºC). Hard drawn copper with custom internal mirror finish.